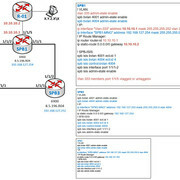 In my LAB if I enable the "vlan-xlation enable" on the SAP "LOOP-Management" port 1/1/26 it works; but "IMHO" this is only a workaround not the solution. I have tested it, and it's working, you can assign an IP address at the VLAN-ID of the "Control BVLAN"; you do not need the phisical loop. 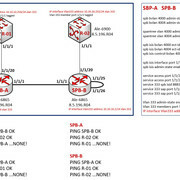 BUT you need one or more 802.1q or access port to connect the "managment SPB-Control-BVLAN" to another network...it's not possible use a SPB SAP port..